James Robson (Harvard). 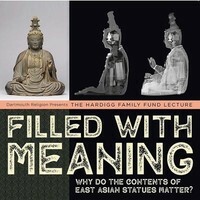 "Filled With Meaning: Why Do the Contents of East Asian Statues Matter?" Free and open to all. Reception follows.